“When an ordinary person loses 10, 15, 25 grand, that makes a material difference in their lives and that’s bad,” says Jay Clayton, the head of the SEC, looking at cryptos and preparing his collection of sledgehammers, falling pianos and tons of bricks. Samsung is manufacturing Bitcoin mining ASICs (translation) for an unspecified Chinese miner. If you have a US security clearance, you need to disclose any crypto dealings — it counts as holding foreign currency. Tor-to-Web proxy onion.top was caught replacing Bitcoin addresses with its own address — but only on ransomware payment sites. Ethereum was invented to serve as an immutable public ledger of simple yet costly programming errors. Yet another “joke” Ponzi scheme coin is fully up to industry standard programming ability — a simple bug has locked up all the ether, about $1 million worth. Testnet, what’s that? YOLOOOO! And people are still sending them money! 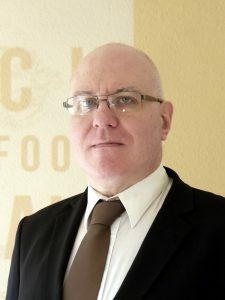 An accountant with experience of both cryptocurrency and auditing calls BS on Bitfinex/Tether’s statement about its breakup with its auditors. A Tether first: 30 million tokens destroyed! A Tether first. Tokens destroyed. 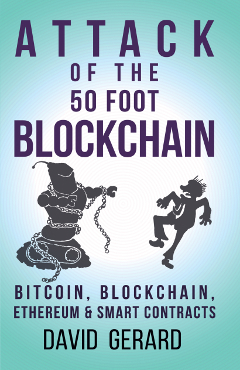 If you’ve bought the Google Play Books PDF of Attack of the 50 Foot Blockchain — if you read it in the browser, does the “Download PDF” option work for you? Go to this page, select “My Books” at left, you should see it there — please click on the three vertical dots, see if downloading works for you and let me know.